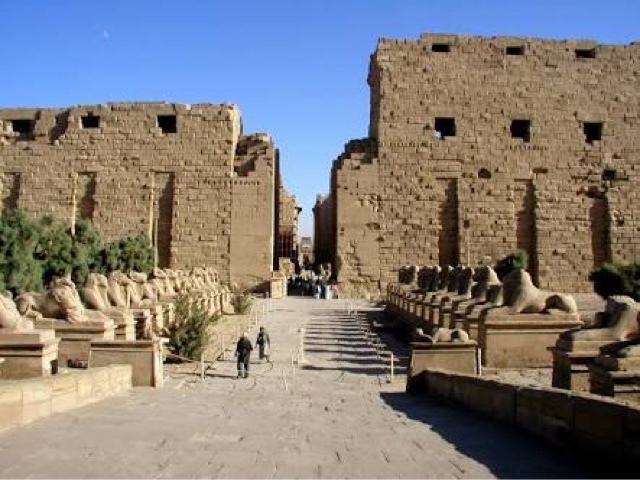 Luxor Times: Is Karnak temple on fire?! As some social media pages reported misleading information that a big fire started in Karnak temple and even posted photos of a fire somewhere. Brigadier-General, Mohamed Omar, director of Civil Protection department (Fire Fighters) told Luxor Times that earlier tonight a fire started of the electricity's converter box by the Nile probably because of a short circuit. It is located opposite of Karnak temple by the Nile so it is about 200 meters away from the temple entrance and across the street." Omar said. He added that it took only one fire engine to put it off and Luxor fire fighters put it off in a record timing. Bottom line is: Karnak temples complex is safe and didn't catch fire.